Discover fully equipped, professionally managed homes strategically located in the city’s popular areas. 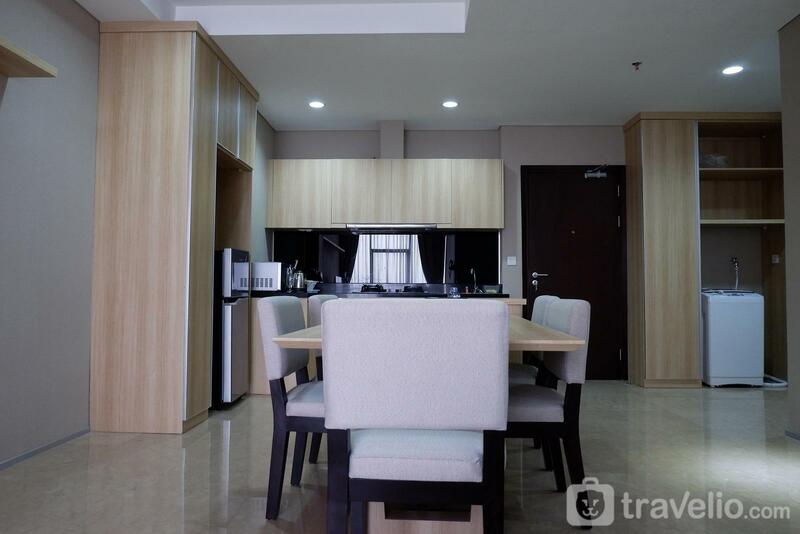 Perfect for a quality stay, convenient for business or leisure, with more value for money room sizes, complimentary standardized amenities and varied array of facilities. 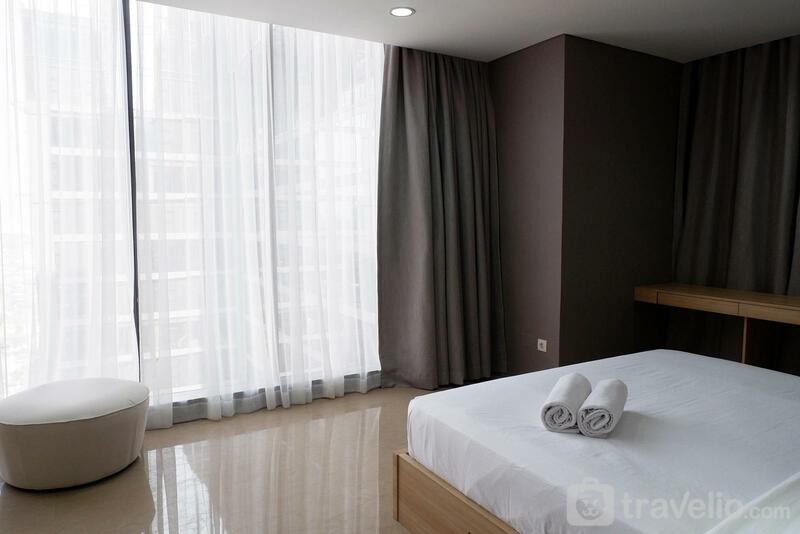 Average room rate from Rp 500,000 to Rp 899,999 per night. 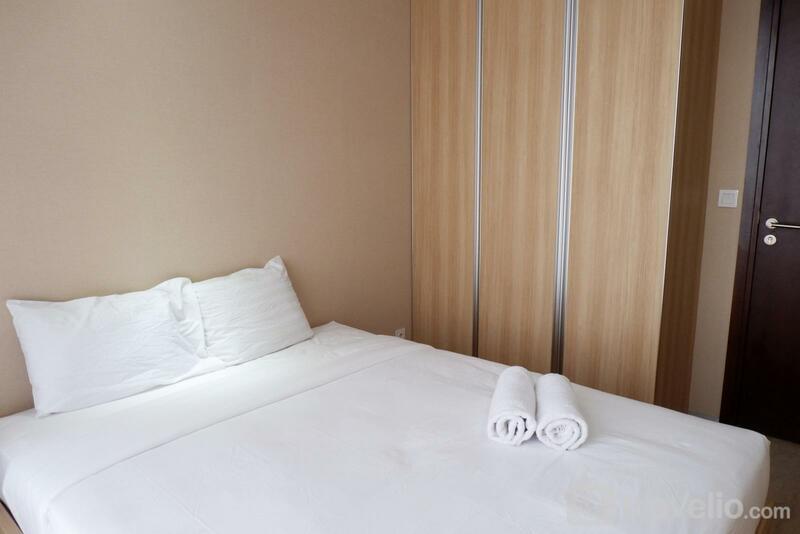 The accommodation and fabrics will only be cleaned upon check out. 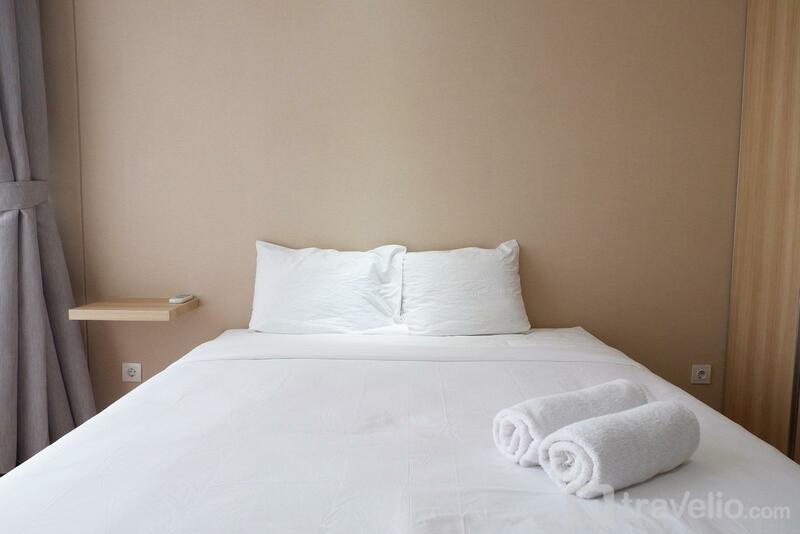 Special request during your stay are available with additional cost. 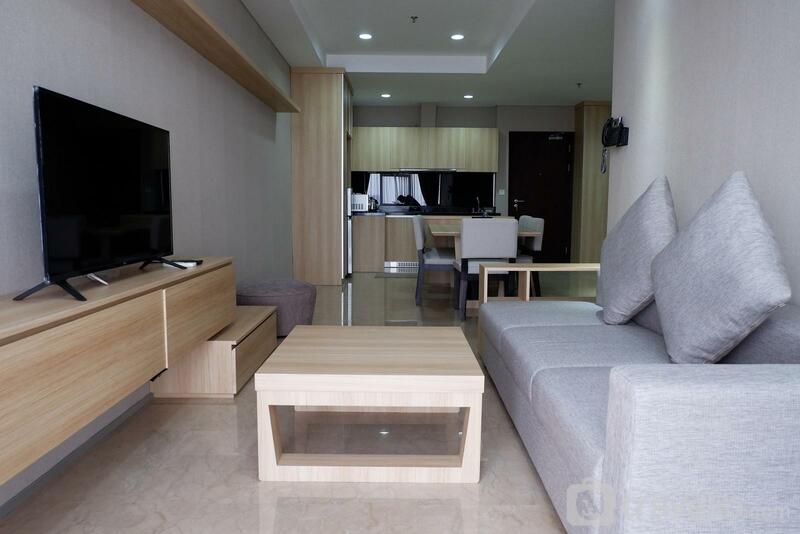 Additional person outside of the maximum occupancy will be charged 50.000, maximum 1 person. Please note that extra beds will not be provided in this scenario. Parking charges are the responsibility of guests, cost prediction starting from 5,000/hour. Deposit is due at check-in and will be refunded maximum 14 working days from checkout date (if there is no damage and the property is in good condition). We only accept Credit Card and Bank Transfer for deposit. Cash is not accepted. 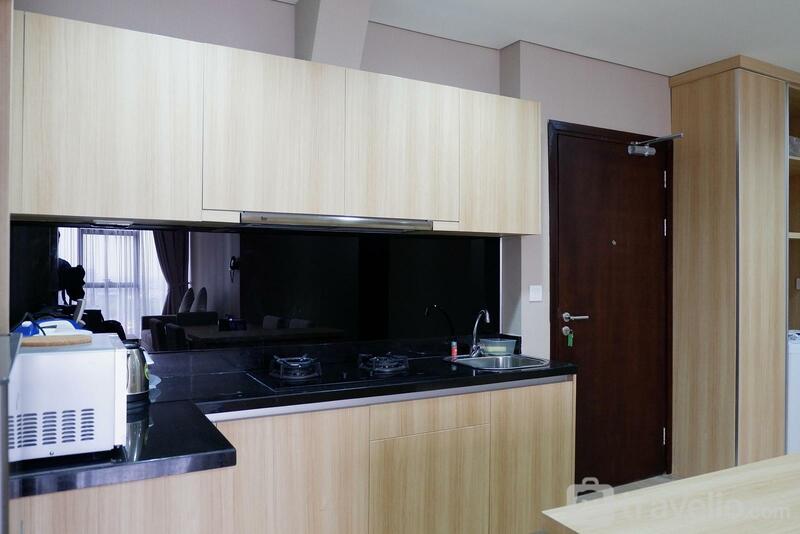 With a modern and minimalist concept, this apartment unit in L’avenue, South Jakarta offer a suitable place for you to stay with your family at this apartment unit has two bedrooms complete with a kitchen and a bathroom. 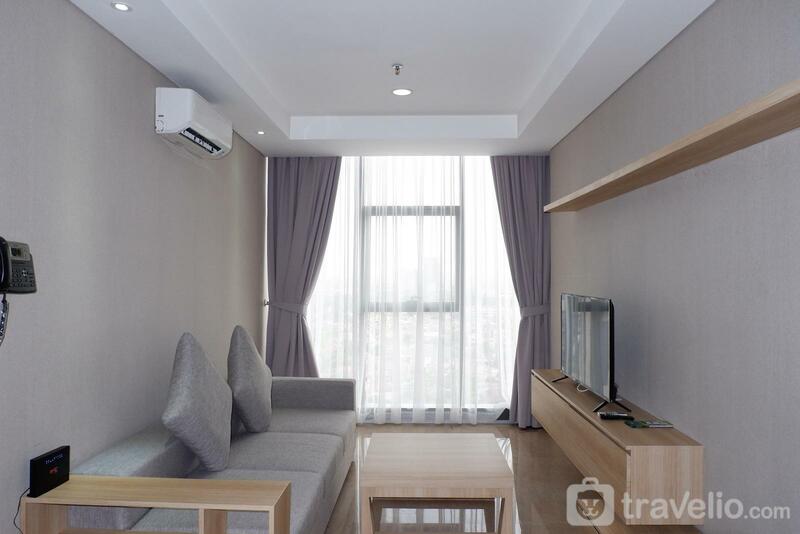 Location of this apartment is in Pancoran area meaning it is strategic and accessible through some public transportation like a local train through Cawang Railway Station and Tebet Railway Station. Trans Jakarta Bus is also accessible because bus stop Trans Jakarta Pancoran is a few minutes away walking. 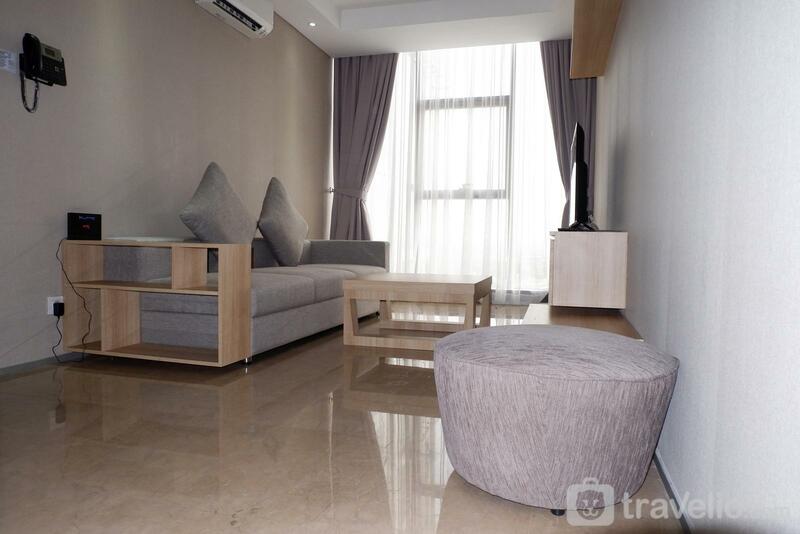 Living room of this apartment unit is suitable for welcomed guests and families as the size is wide enough furnished with a comfortable sofa. 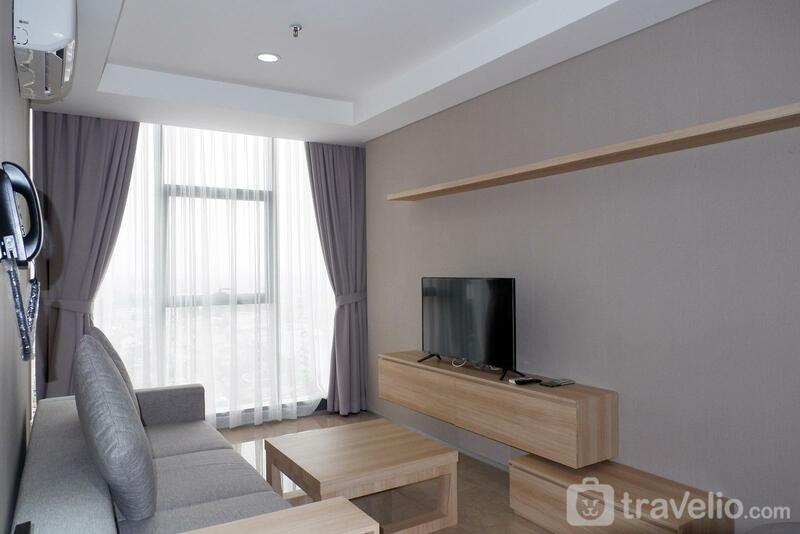 The two bedrooms in this apartment are furnished with a king size bed in the main bedroom and queen bed in the second bedroom. 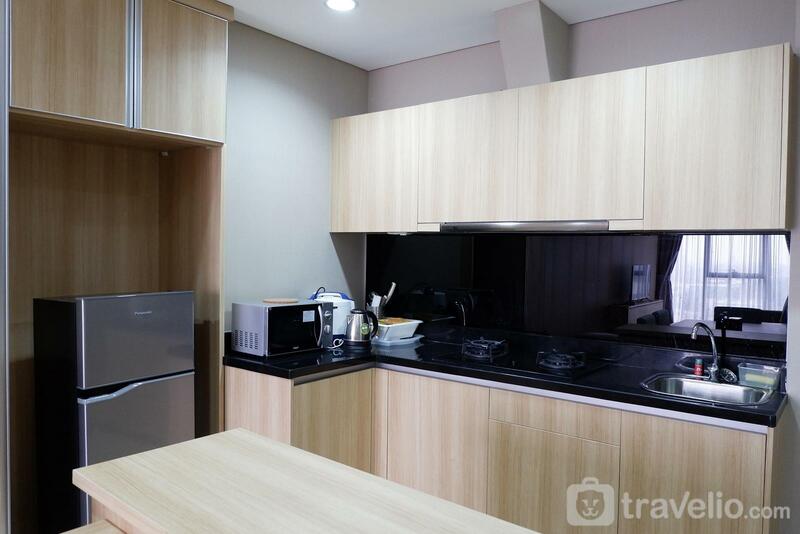 In the living room, there is a TV with a sofa along with a dining table for four people as well as a gas stove, refrigerator, electric kettle, and a rice cooker, and a microwave. 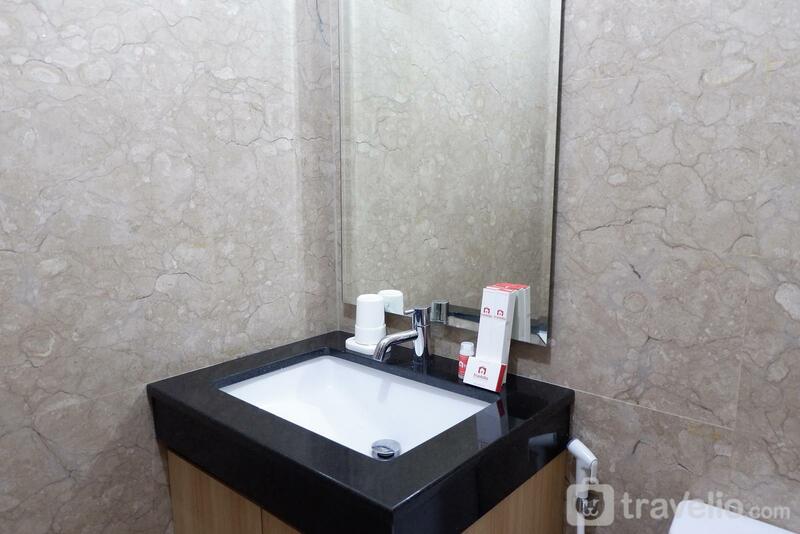 Built with a high-quality marble dominated with crème color gives the luxurious ambiance, the bathroom is equipped with shower and water heater. 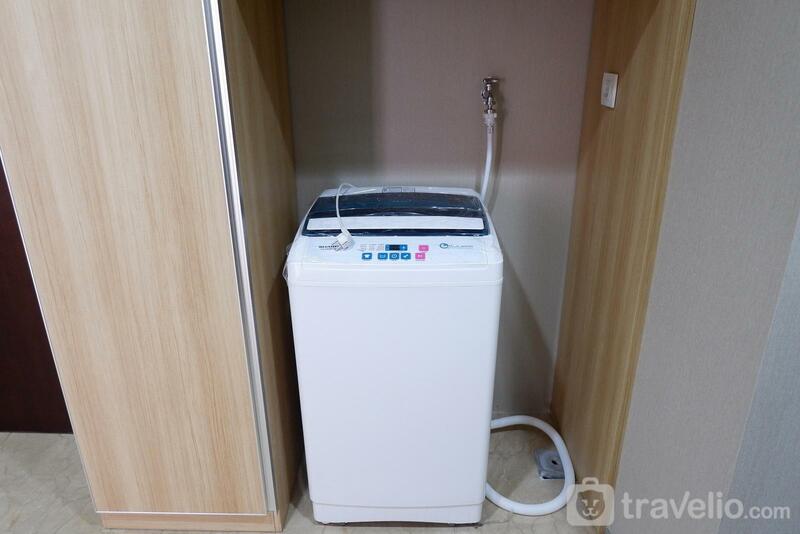 There is also a washing machine to clean your clothes. 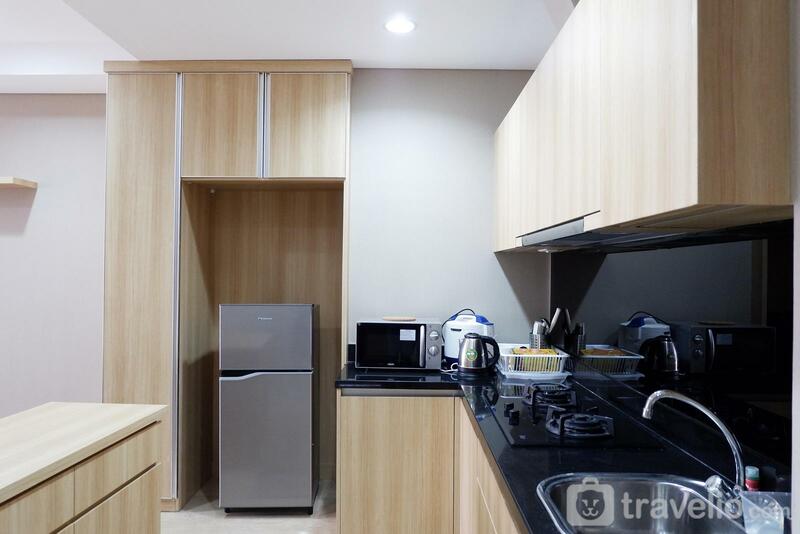 Other additional facilities like swimming pool, charged laundry, fitness center, jogging track, spa, and steam room are available here. 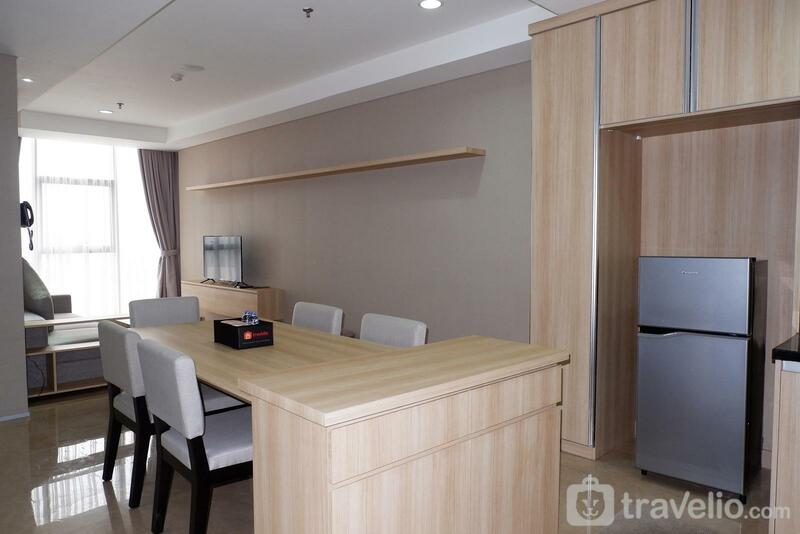 Various kinds of restaurants, cafés are also available in this apartment building. 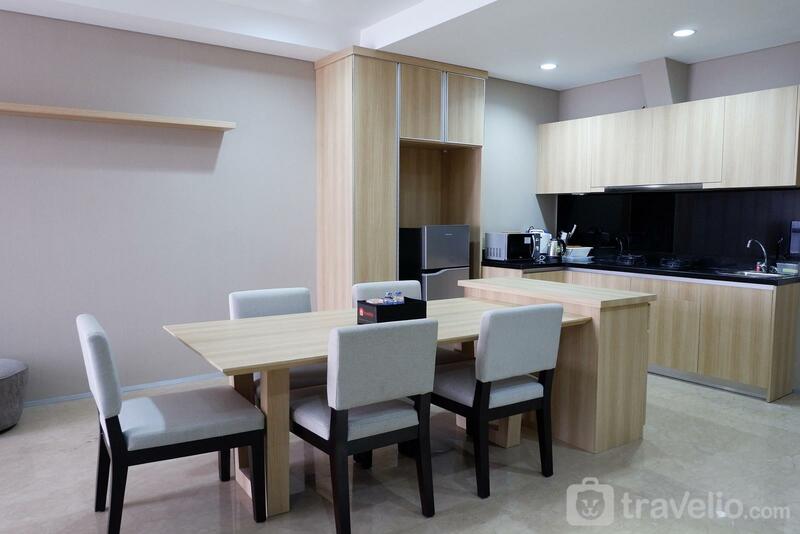 There are two bedrooms in this apartment furnished with a king size bed in the main bedroom and queen bed in the second bedroom. There is a TV with a sofa along with a dining table for four people in the living room. 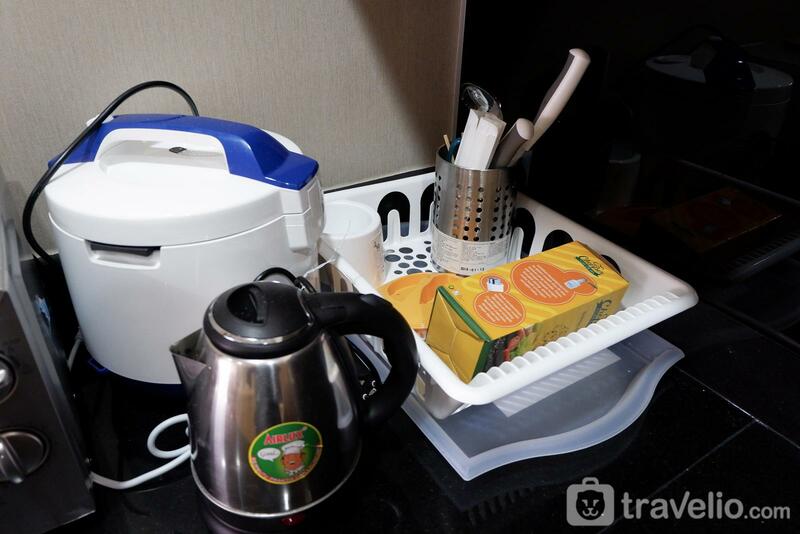 In the kitchen, there are a refrigerator, electric kettle, microwave, and a rice cooker a gas stove along with the kitchenware. The bathroom is equipped with shower and water heater. 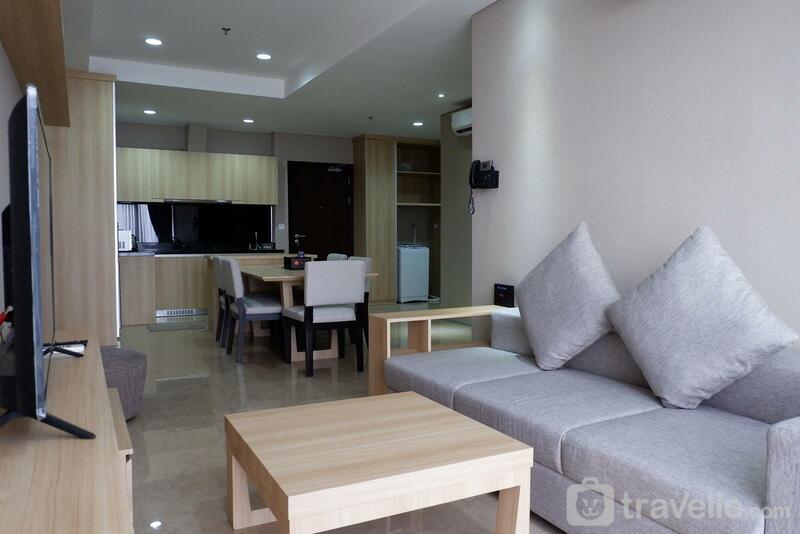 Other additional facilities like swimming pool, charged laundry, fitness center, jogging track, spa, and steam room are available here. 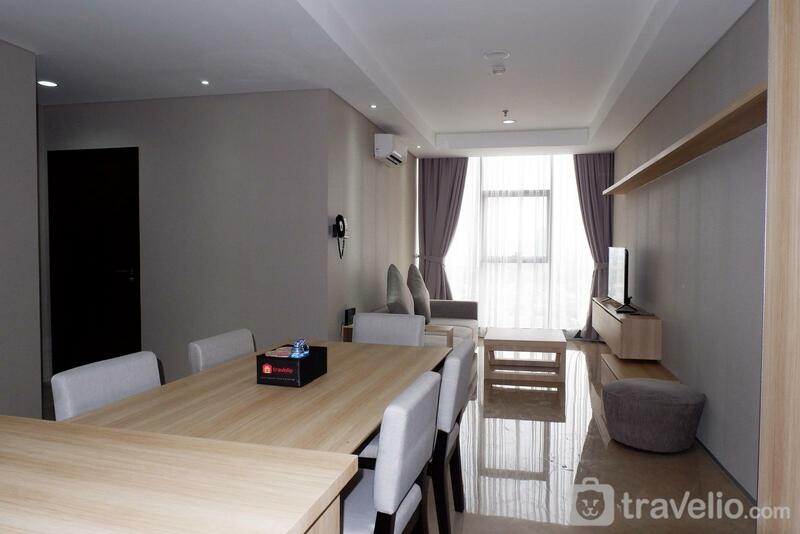 Various kinds of restaurants, cafés are also available in this apartment building. Free WiFi access is not provided in this apartment unit.